Assembly of cavities following high pressure rinsing. 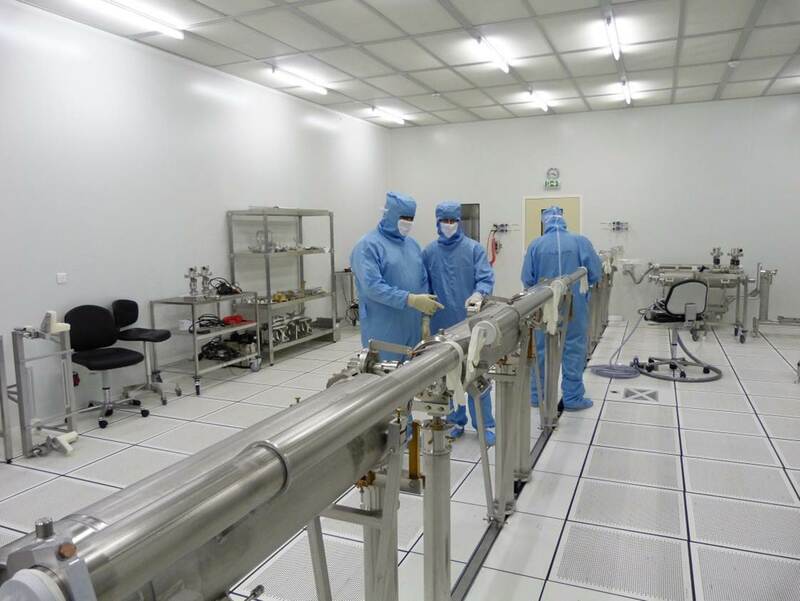 Positive pressure clean room partitioned into 3 different ISO classes: 7, 5 and 4. 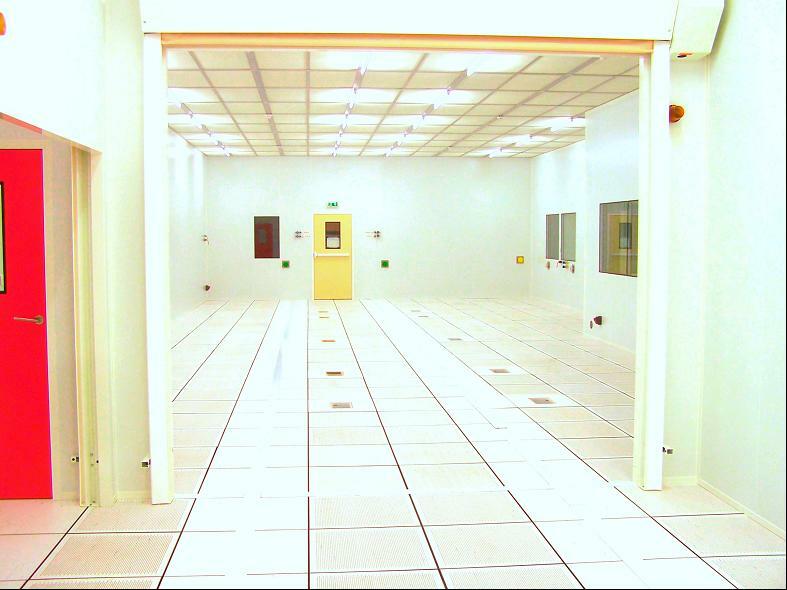 Total surface area of the clean room: a ≈ 200 m2 (of which a = 112.5 m2 at ISO class 4 with total laminar flow). Length of the ISO4 room: l = 15.6 m.
Door dimensions: 2.8 m x 2.6 m.
Ceiling height: h = 3.4 m.
- ultrapure water in the 3 compartments. - a washer BELIMED (h 1.5 m x l 1 m x w 2 m) for the external washing of cavities before their entrance in the ISO 4 clean room. - Control area (control of different parameters such as the rotation speed of FFU fans....). 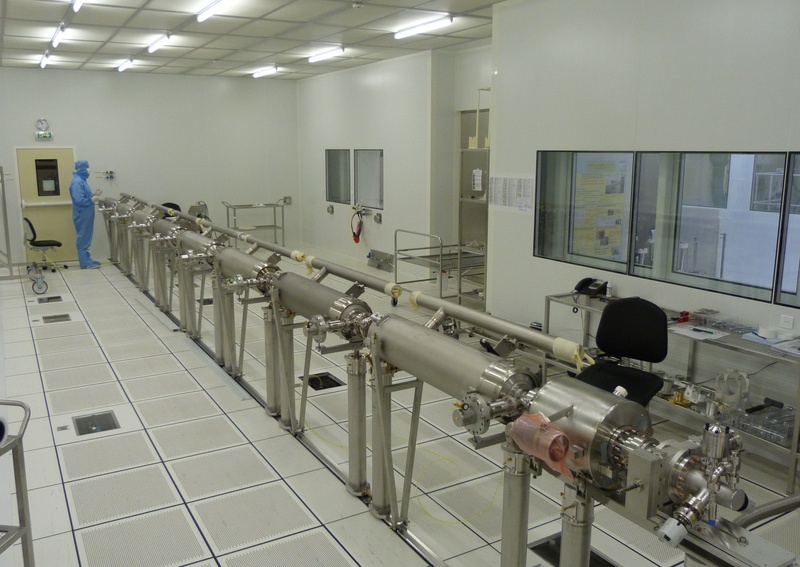 Assembly of 36 cryomodules (each including a string of 4 cavities at 700 MHz) in the framework of the ESS project. 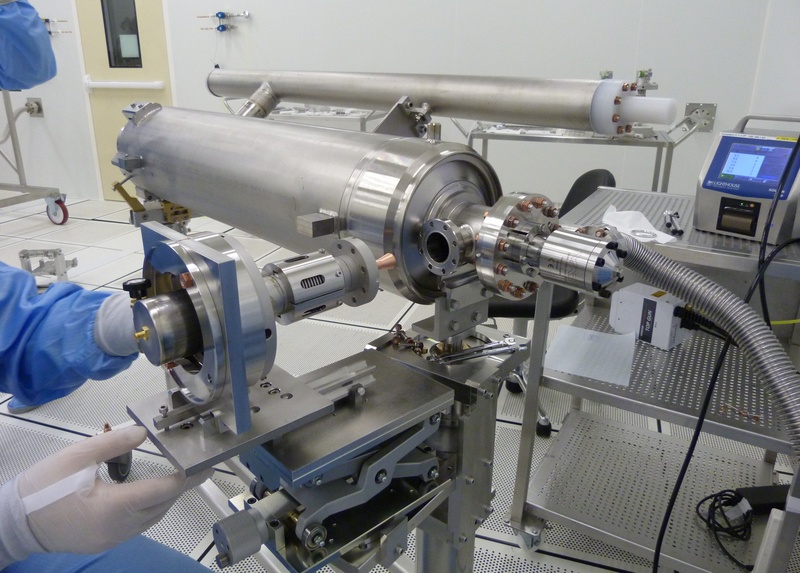 Assembly of elements surrounding the cavity "cryostating" (insulation, magnetic shielding...) outside the clean room.